60 minutes fire protection for paper tested to NT Fire 017-60P. 60 minutes fire protection for DVD's and USB Flash Drives to DIP120 - 60DM. Disk Media only - not suitable for hard drives or tapes. Cash rating €2,000 or valuables rating €20,000. 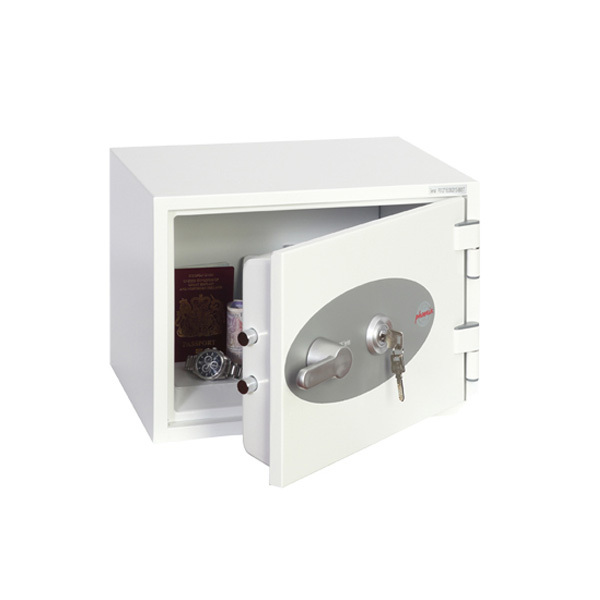 High security dimple key lock supplied with two keys. Suitable for floor fixing (bolts included). 2 Year materials and labour warranty.